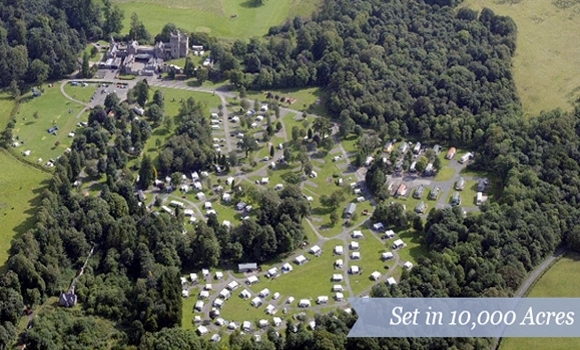 This 5-star park is situated in beautiful wooded parkland in the grounds of a 16th century keep and combines excellent facilities with plenty of activities on site. Hoddom Castle Caravan Park has been beautiful landscaped with tall green trees and luscious grass, so that caravans and tents effortlessly blend with the peace and beauty of the surrounding countryside. As well as the expected facilities such as toilets, showers, electric hook-ups and a launderette, Hoddom Castle has a well stocked shop, a licensed bar with a cosy a log fire plus a restaurant/take-away which serves delicious hearty meals. In addition, you can enjoy quality fishing in the estate's own section of the River Annan - renowned for its salmon and sea trout - or spend a day learning about the great outdoors and the area's wealth of wildlife with one of the estate rangers. They are also mountain biking trail, a games room, a tennis court, a children's play area and a barbecue. 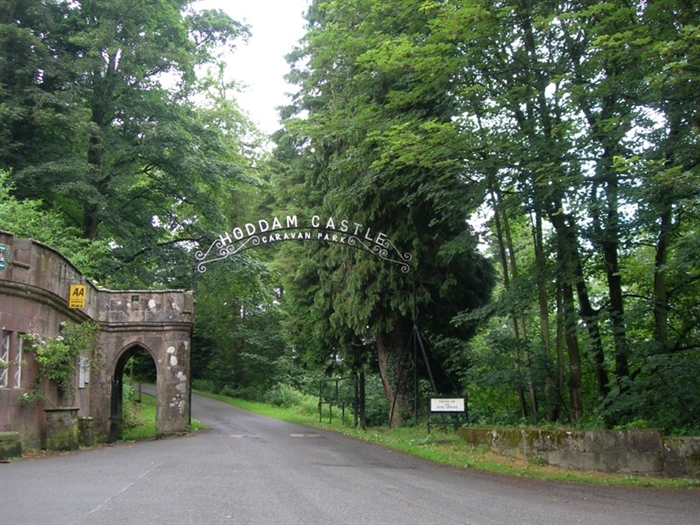 Just a two minute walk from the site, the 9-hole Hoddom Castle Golf Course offers a challenging round and the surrounding countryside, rolling hills, thick forests and quiet roads provide the perfect terrain for walking and cycling. Nearby, you can enjoy first-class fishing in the Broom Fisheries, discover the magnificent medieval fortress of Caerlaverock Castle and go birdwatching at the Wildfowl and Wetlands Trust. You are also ideally located for exploring the bustling market town of Dumfries, glorious Galloway and the historic Scottish Borders region.